Get the ultimate guide to business analytics. Einstein Analytics apps are designed to help every employee in every line of business create deeper customer relationships and uncover new opportunities. This product guide explains how immersive, interactive analytics can change the way your team asks questions, gets answers, and takes action. 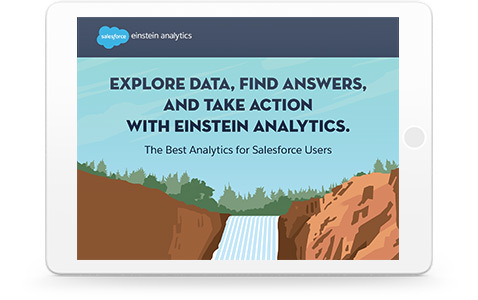 Download the product guide and see what Einstein Analytics apps can do for your company.